Let me fill you in on a little secret about me. I have 3 huge loves in my life (besides my family of course). 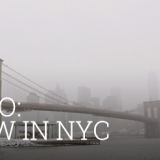 My loves include: New York City, pizza and movies. 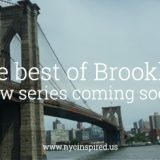 When I heard about the Brooklyn Pizza tour and all it was about, my first thought was, this tour was made for me! 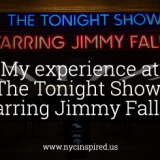 It’s been raved about by the Today Show, The Travel Channel and West Jet Airlines, so it was a definite must for me! This past Saturday my husband and I went on the 4.5 hour long tour and had the time of our life. From the moment the tour guide Paula greets you, you instantly know you are going to have a great day. 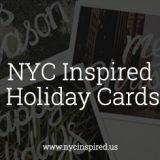 Paula, a lifelong Brooklynite, shares her passion and knowledge for Brooklyn while making you feel like a member of the Famiglia. 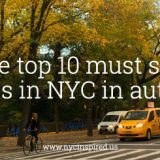 Her humor and warm personality make you feel right at home, while her love for Brooklyn and all the history she shares makes you feel like you belong in this amazing borough. 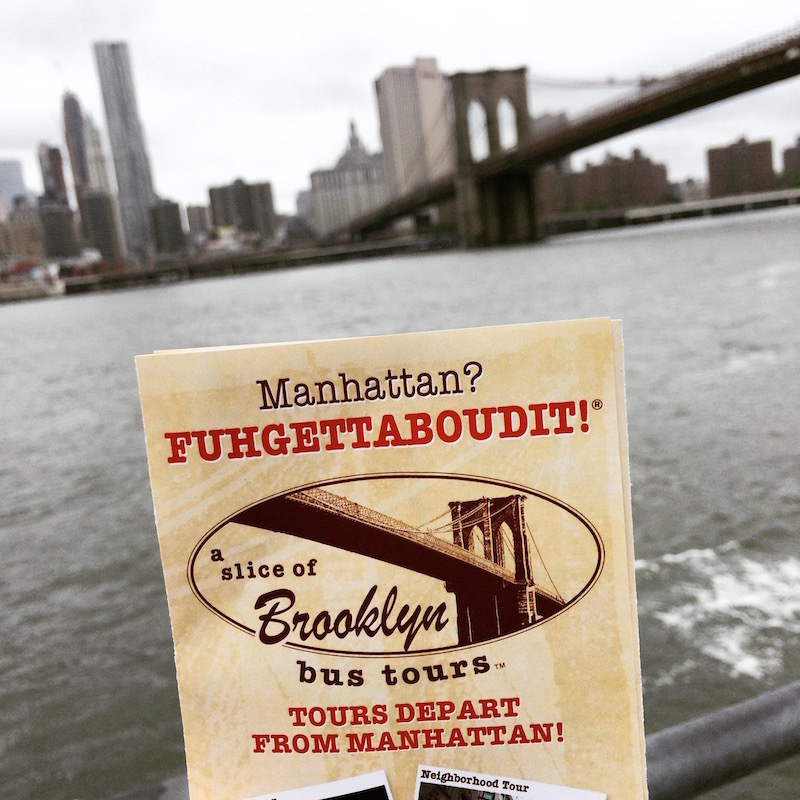 The tour starts in Manhattan, but this tours slogan is “Manhattan? fuhgeddaboudit!”. 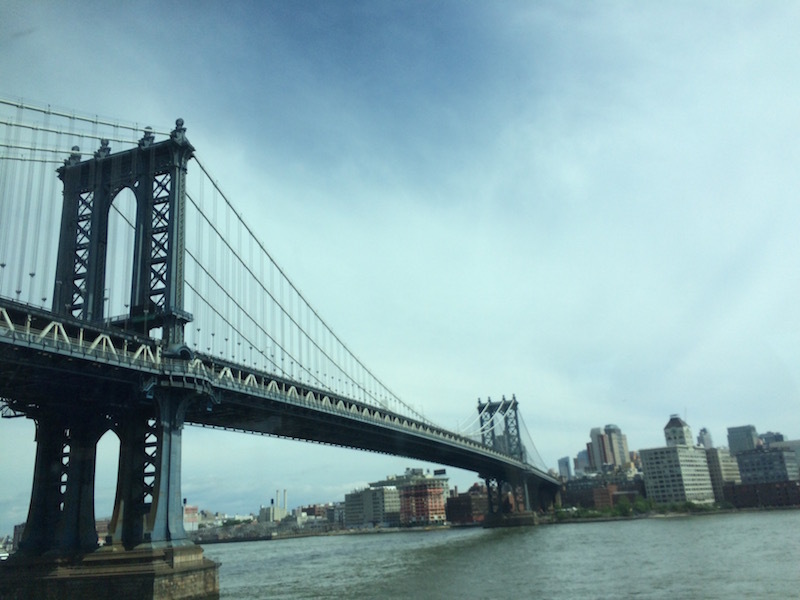 So we quickly headed to Brooklyn via the Manhattan bridge and you instantly fall in the love as you look over and see the stunning Brooklyn Bridge. Driving through Manhattan, on the way to Brooklyn. 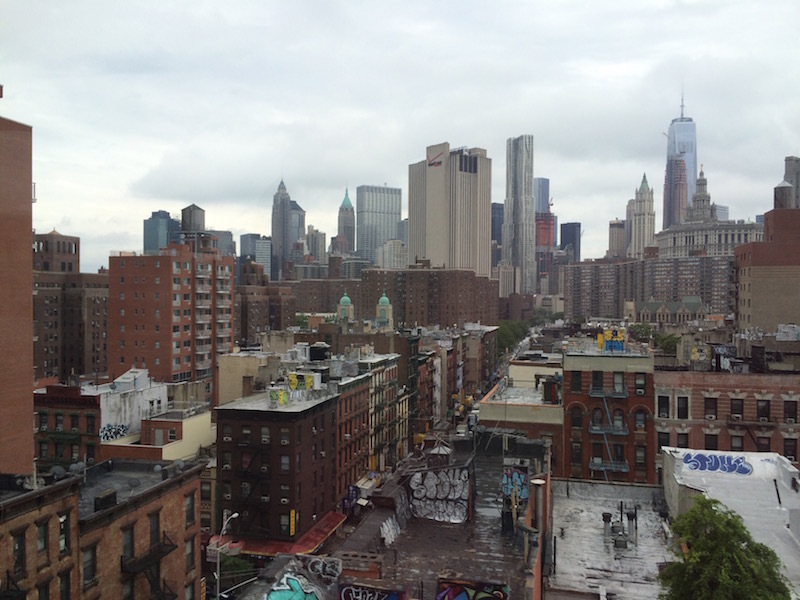 The view from the Manhattan Bridge. 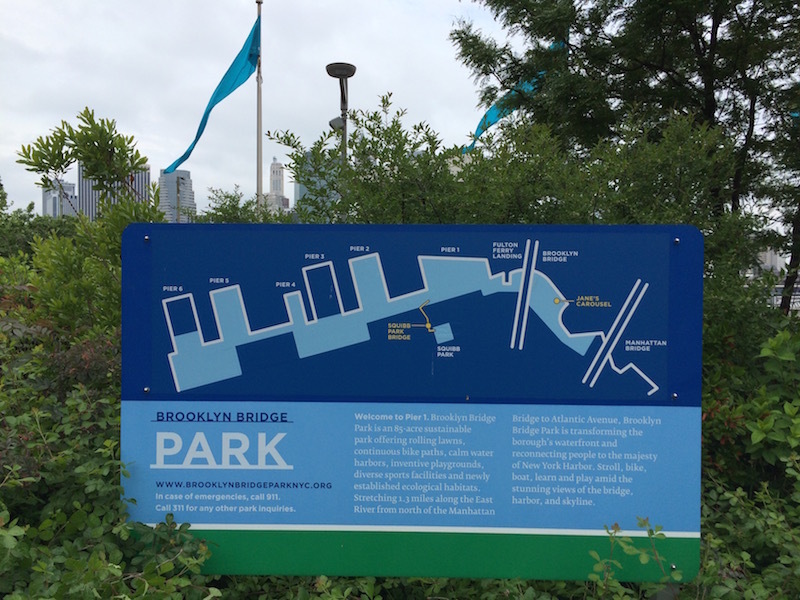 Our first stop was the Brooklyn Bridge Park. 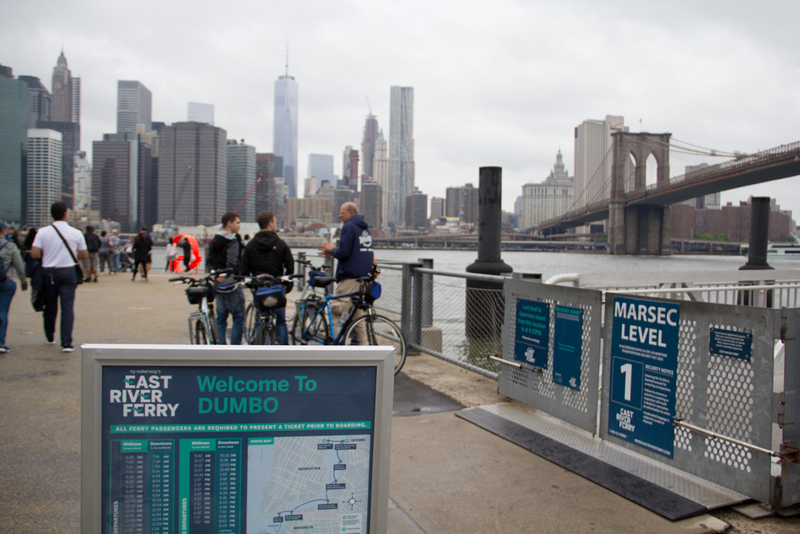 It’s a waterfront park right along the East River offering breathtaking views of Manhattan along with the iconic Brooklyn Bridge. Here you have a bit of time to take in the view and get a few great pictures. 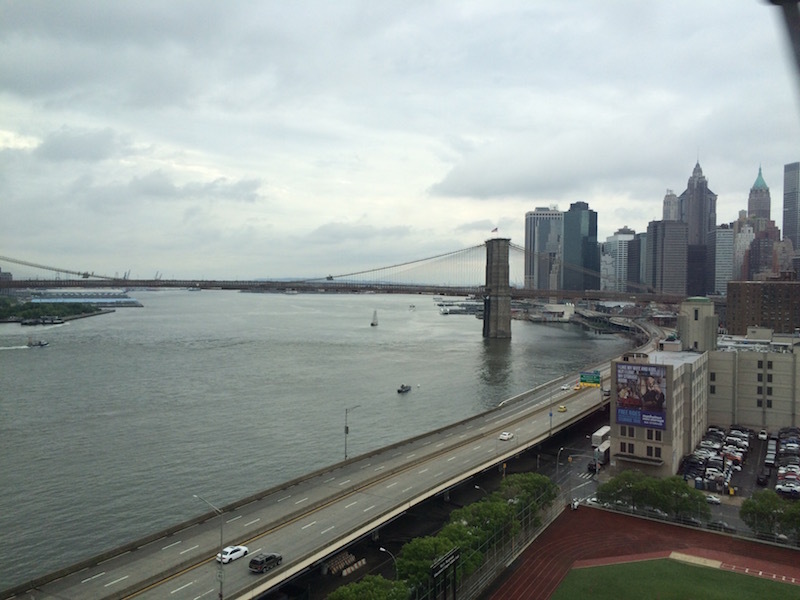 It’s then a quick walk to the famous Grimaldi’s pizza in Dumbo (a Brooklyn neighborhood along the riverfront). 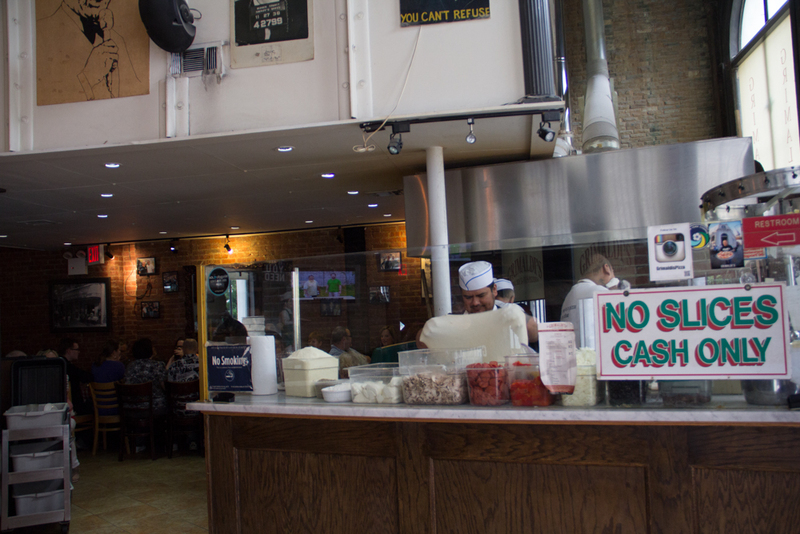 One of the last coal oven pizzeria’s in NYC. 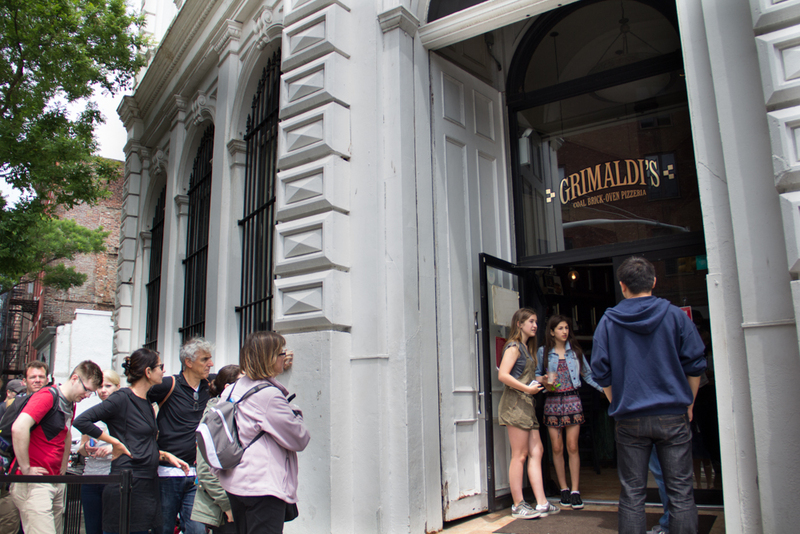 Grimaldi’s is known for often having lines an hour long to get in, but not with the tour, you get to skip to the head of the line! No waiting, tables are waiting for us, and the pizza is ready shortly after. 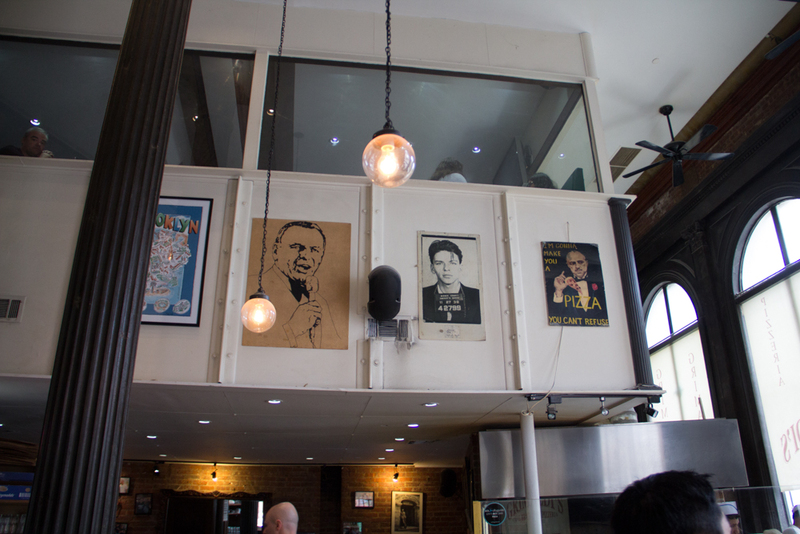 You get the authentic, old Brooklyn feeling when you walk in to the restaurant. You know the one the suburbs all try to replicate but only the true Italian Brooklyn places really have. The brick walls, the old character, and the authentic people. Ah, I love it! Your ticket for this tour includes pizza and drinks at the stops along the way, and the experts have already chosen what is the must try at each location. 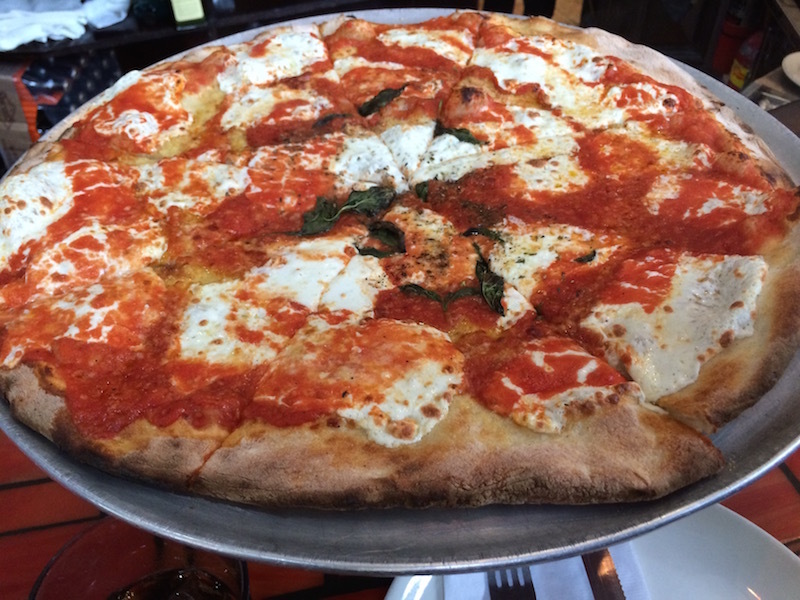 At Grimaldi’s its a must to try the Margherita style, fresh ingredients include fresh mozzarella brought in daily and fresh tomatoes, it’s simply beautiful! 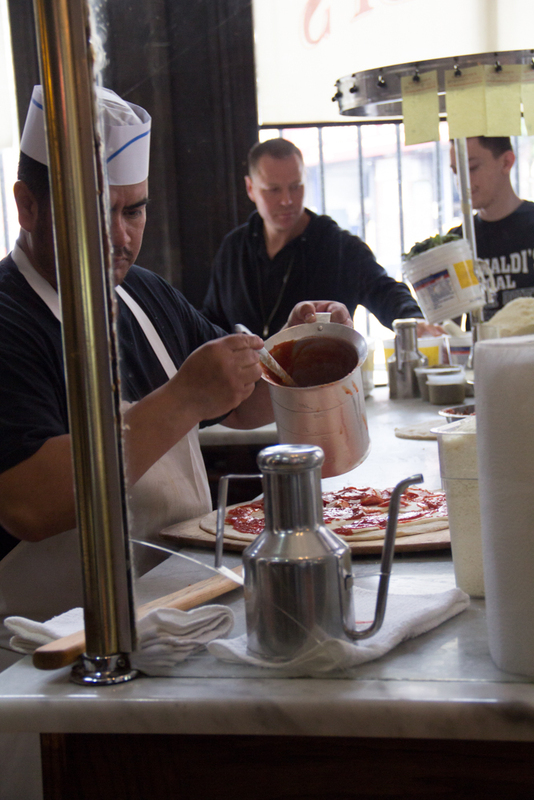 You can watch the chef toss that pizza into the coal oven and it only takes 3 minutes till its done and ready to eat. 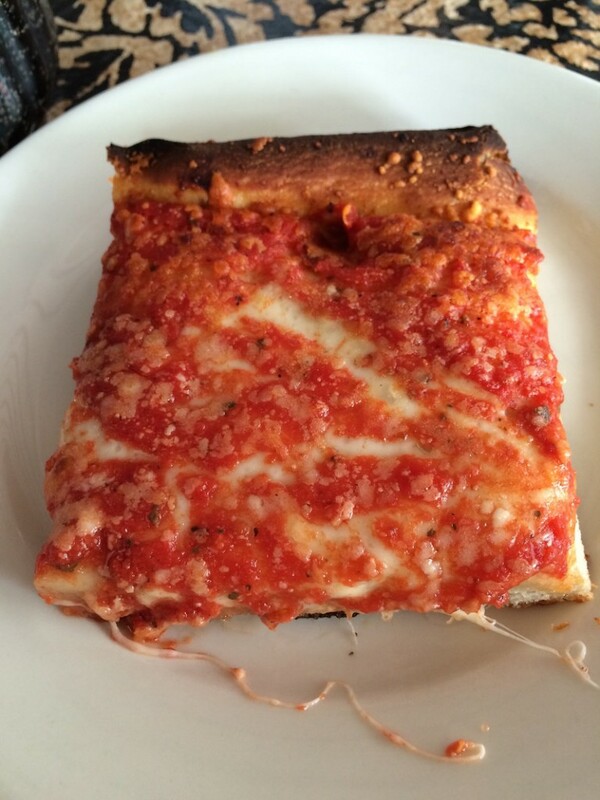 The flavors are fresh and the crust has a crispiness that has that true authentic taste. Delish! 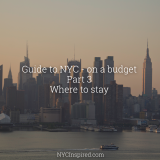 We hopped back on the bus and Paula led us from Dumbo (Down under the Manhattan Bridge overpass), pass Red Hook and Sunset Park, right into Bay Ridge. We passed several sites along the way, learning the history of each location. One feature that makes this tour really come to life is they show movie clips along the way that were filmed in the location you are currently traveling through. As they show a clip from Saturday Night Fever or Goodfellas you look at the screen and then look out your window to witness the exact same scenes. 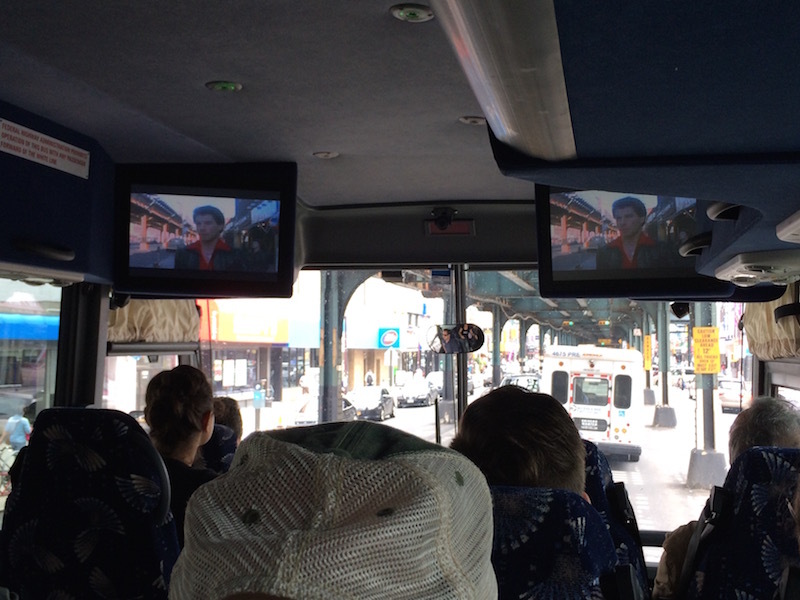 The passengers on the bus simultaneous sigh, “wow, look at that!” It sort of brings the movies to life. Driving down the same street where the intro to Saturday Night Fever was filmed. As we head through Bay Ridge you drive by mansions and stop in front of the the famous Bay Ridge gingerbread house. It’s quite a site. 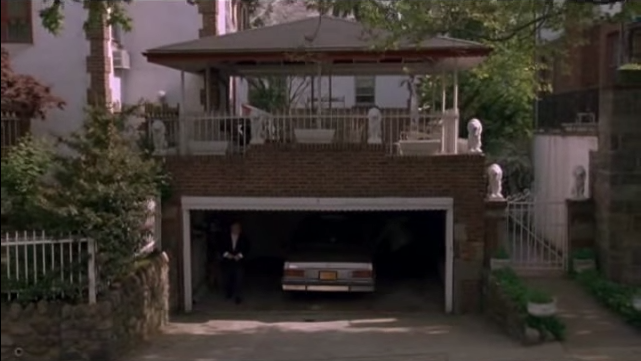 We see the exact spot where a scene in Goodfellas was filmed. 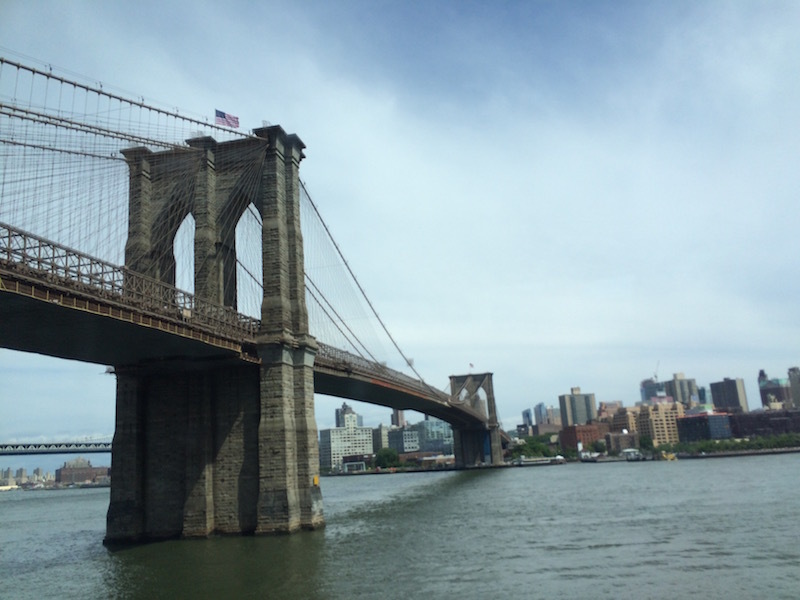 Paula showed us beautiful views of the Verrazano Bridge and all the history of the bridge (she really knows her stuff!). 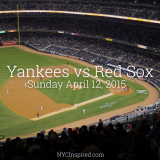 We drove through Fort Hamilton, Bath Beach and then onto Bensonhurst. The location we drove past, where the scene from Goodfellas was filmed. The original scene from Goodfellas. 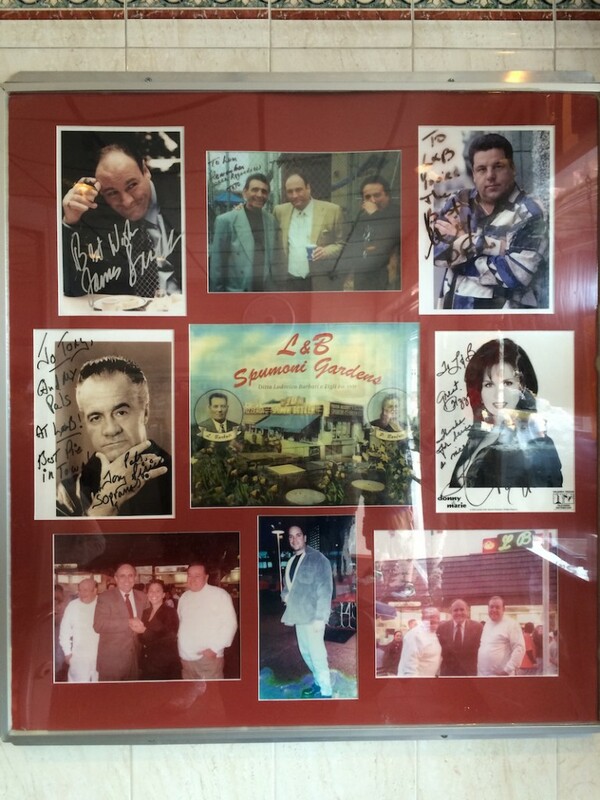 Bensonhurst was home to our second pizza stop at L&B Spumoni Gardens. This pizza is a Sicilian Style. 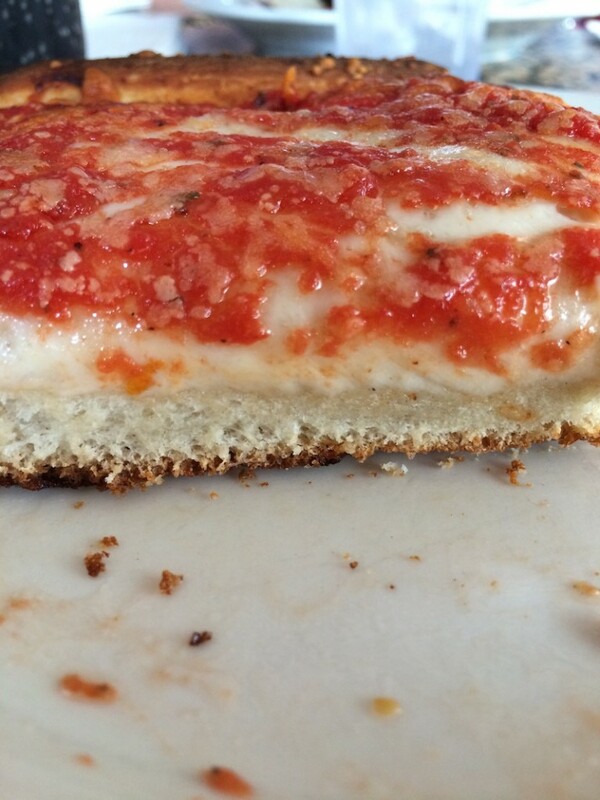 It has a thicker crust, then the cheese in the middle, and the sauce on top. It was also delicious! It has a sweeter flavor, and very unique. It was quite busy, but with the tour we had no waiting, and it’s only minutes before the pizza arrives. 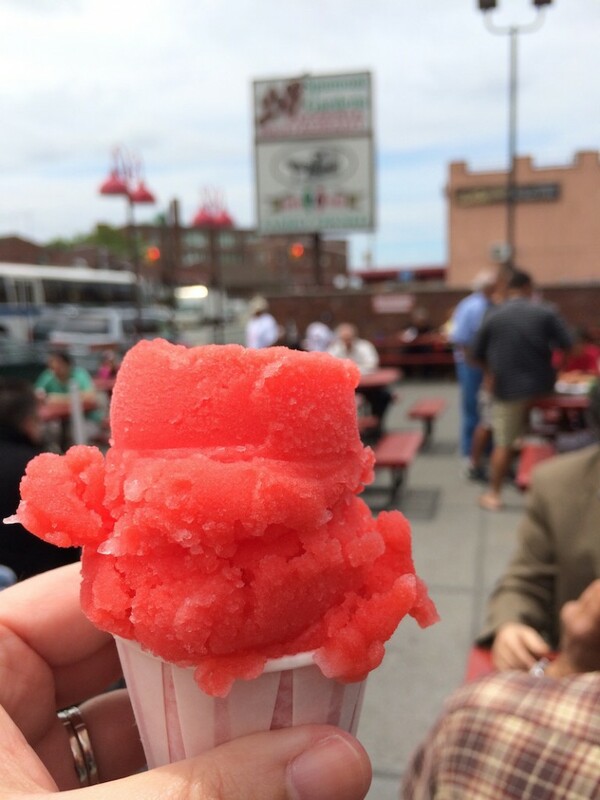 We also had the opportunity to get Italian ices, which were delicious! 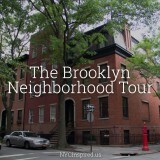 Next we head through some more Brooklyn neighborhoods and eventually land in Coney Island. 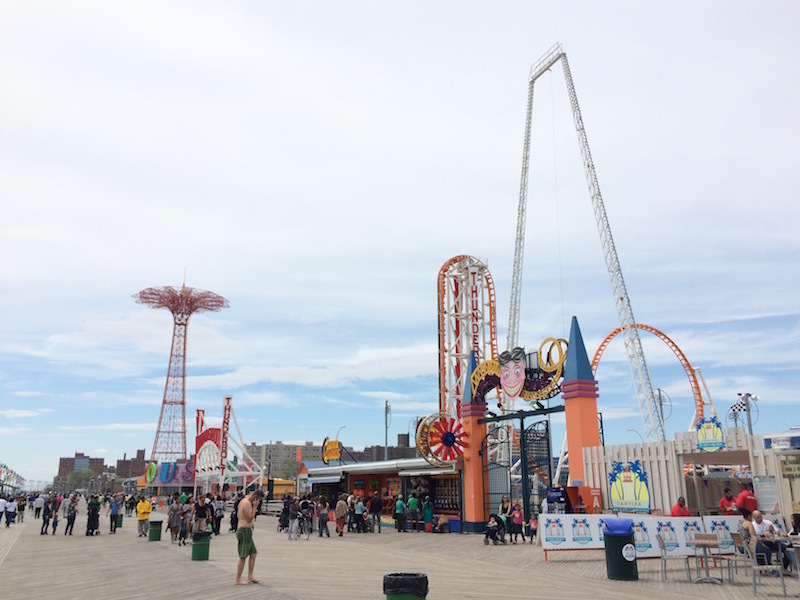 We were able to explore Coney Island for 30 minutes allowing tour passengers to roam the boardwalk or load up on souvenirs. 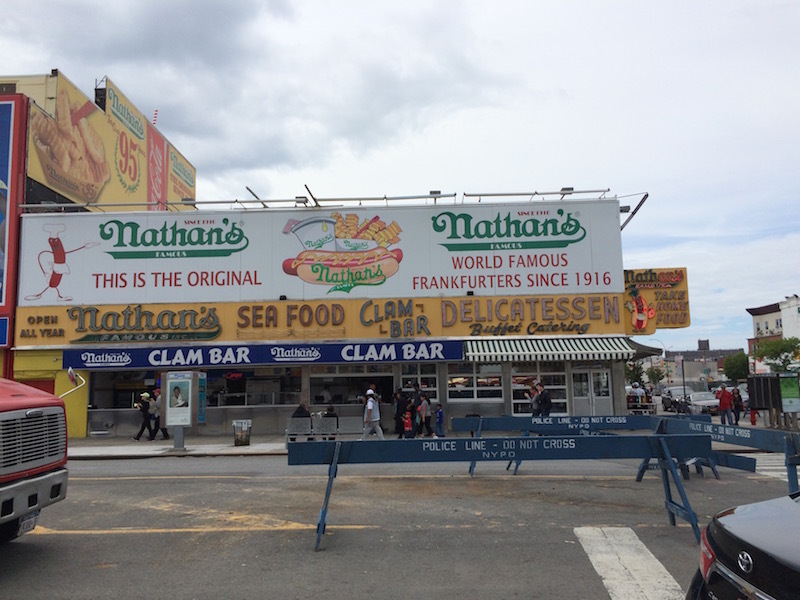 The Boardwalk on Coney Island. 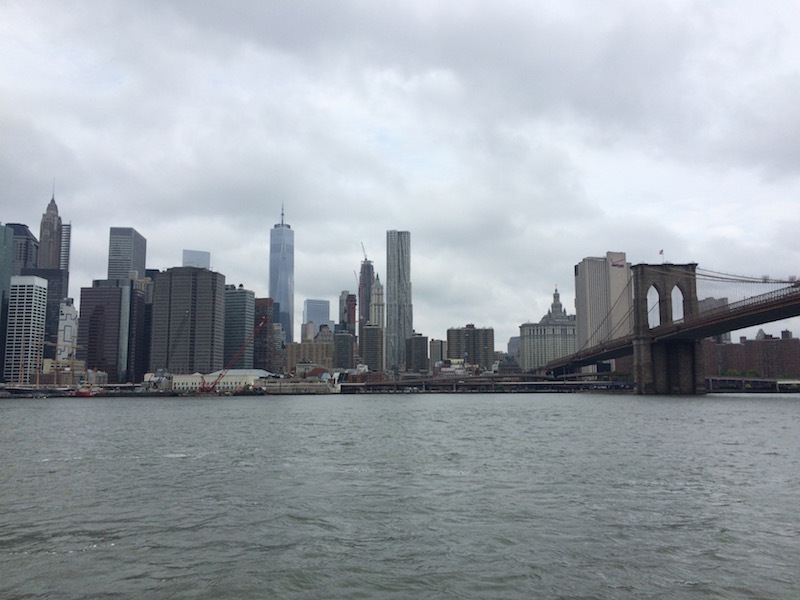 This tour makes you feel a part of Brooklyn. The real Brooklyn. 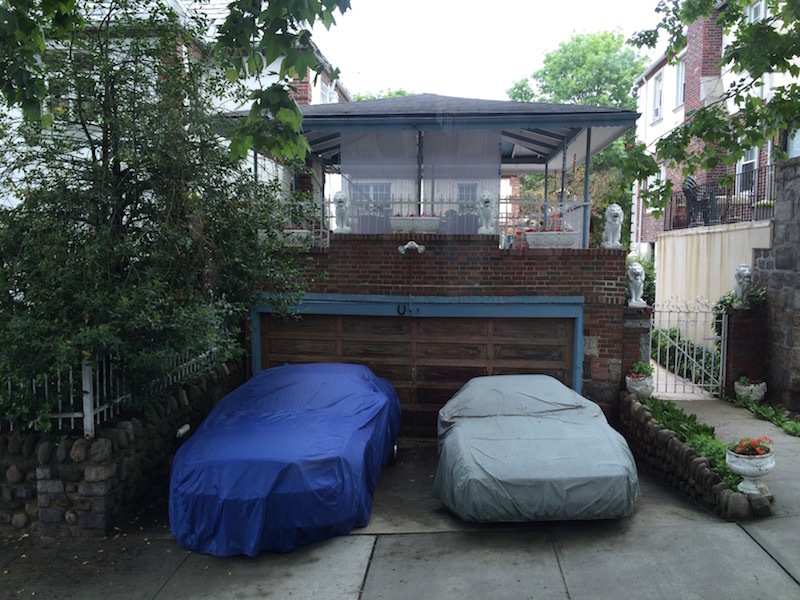 You get to see so much of it, the authentic, real life Brooklyn. It feels almost like a family member has picked you up for the day and is showing you around, showing you all the sites and secrets you should know, and feeding you the best food! You feel like family. You feel a part of Brooklyn. 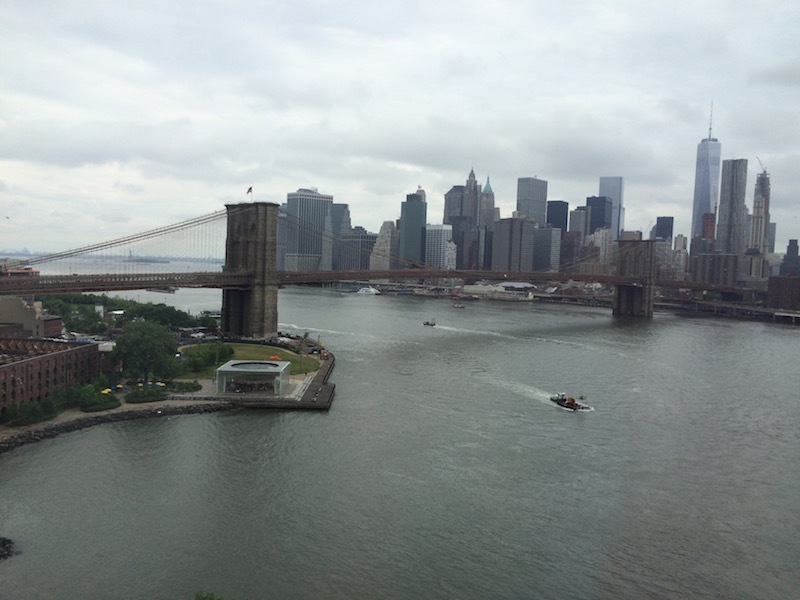 Views from the bus as we return to Manhattan. If you’re interested in checking out this tour head over to their website for additional details. 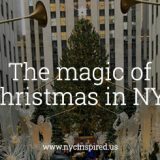 They also offer additional tours including a Brooklyn neighborhood tour and a Christmas lights tour which both sound fabulous! You will not regret it! 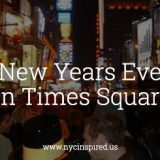 *All photos in this post were taken by me (with the exception of the original Goodfellas scene ofcourse). Photo’s were take with iphone 5S or Canon 60D with kit lens.